Current gen game detailed by Visual Concepts. The Visual Concepts NBA 2K14 development team has been busy this summer. They’re releasing games for not one, but two, different generations of consoles. 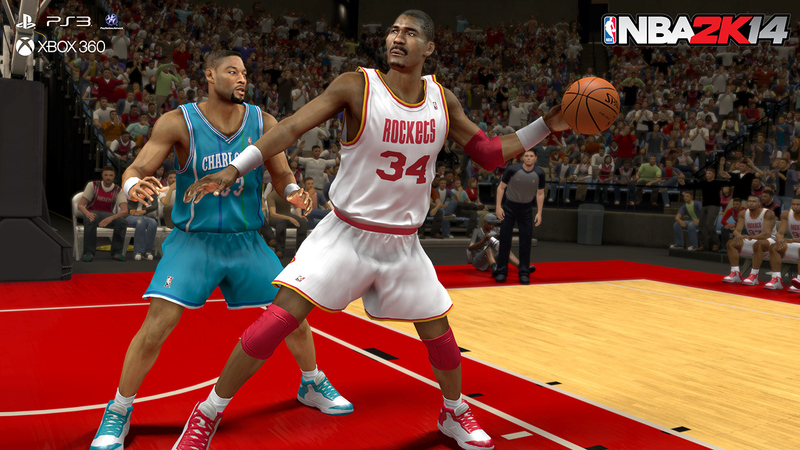 2K has released the hoops feature list along with highlights of several core gameplay improvements coming to NBA 2K14 on current generation platforms. With LeBron James on the cover, 2K will be going one-on-one with EA Sports NBA Live 14 on next gen only. 2K14 will have current gen to itself. Below is a preview of some of the new features and core gameplay improvements fans will experience in NBA2K14 with current generation platforms (Xbox 360, PS3) and PC, available on October 1, 2013. MyTEAM - Back and better than ever, with new player modes, multi and single player tournaments, and much more. (PS3 & Xbox 360 only). Benny the Bull and the Angry Birds!